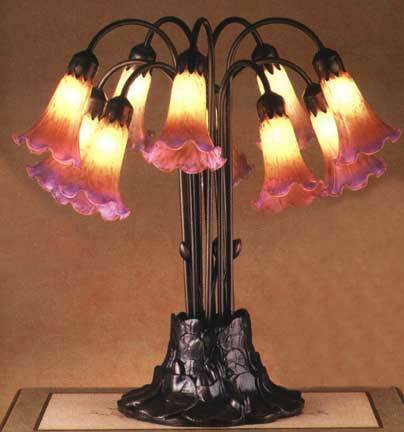 This ten light lily lamp comes on a Lily Pad Base. 22"H x 22"W. Takes ten 25 watt candelabra bulbs. By Meyda Tiffany. Shades come in many different colors so, if you would like a different color, just email us!